"Blattfederbuchsen Kit 62-72 B-Body, 70-74 E-Body 1 1/2″ XHD Polyurethane"
Notes: 426 and 440 models only. Be in control of your suspension while you're maneuvering through turns, doing drag-style launches, and braking. 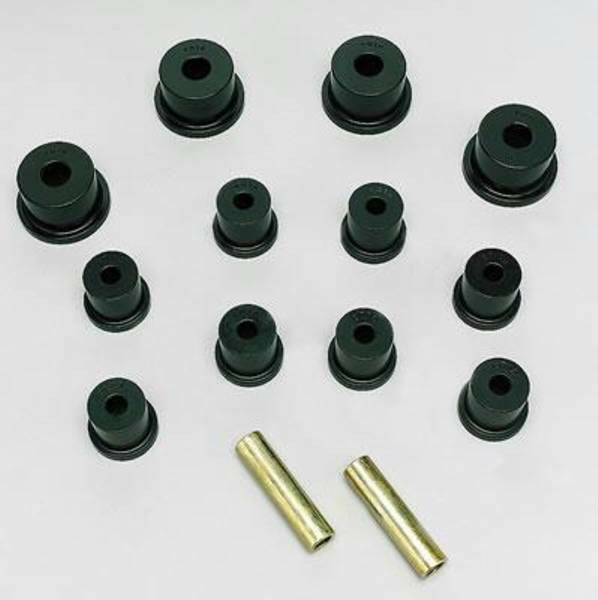 These high performance leaf spring bushings are made of polyurethane, which is harder and stronger than rubber, but still not as hard as solid metal bushings. These bushings add a higher level of performance and durability, and you'll feel the difference in positive handling and control. They come available in a variety of colors.